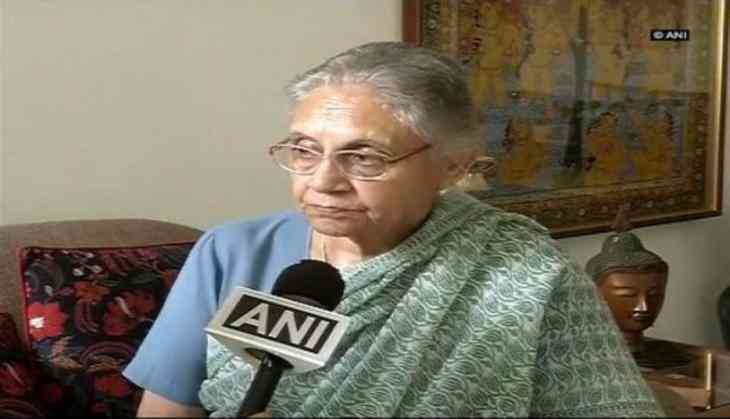 After Yogi Adityanath promised "stringent" action against those found responsible for the Gorakhpur tragedy, former Delhi chief minister Sheila Dikshit on Monday said the Uttar Pradesh Chief Minister should do something more serious rather than just making announcements. Speaking to ANI, Dikshit said committee ordered by Chief Minister Adityanath to probe the incident should work with immediate effect so that such tragic incident is not repeated. "I am happy that at least he has visited his constituency..it is a very serious issue and it should be taken even more seriously. He has ordered some committee but the committee should work with immediate effect so that such tragic incident is not repeated," she said. "In a hospital where thousands of patients go such careless took place there. I think only talking about it will not work. He should work on it..rather than making announcements he should do something. And about the report, that should be done as soon as possible, before more incidents take place," she added. Chief Minister Adityanath on Sunday said that he is tremendously affected by the death of over 70 children at the Baba Raghav Das Medical College while reiterating that a probe will be instigated and the guilty will be severely punished. "The state government has realized that a probe in the matter is necessary. Let reports of probe committee come. Assure you, if anyone's negligence caused the death of a person, in any part of UP, he won't be spared," he added. Further slamming the opposition and critiques for politicizing the issue, Adityanath said, "Those whose sensitivity has died are now trying to add salt to the wound by raising the sensitive issue unnecessarily. I will request you all to at least try and know real facts." Tragedy continued to descend upon Gorakhpur's Baba Raghav Das Medical College hospital, as another child succumbed to encephalitis today, taking the death toll over 70. Meanwhile, the Congress Party on Sunday noted that Gorakhpur Hospital tragedy clearly reflects the failure of the state government and demanded that Yogi Adityanath immediately resigns as Chief Minister. Talking to the media, UP Congress president Raj Babbar said, "This government is a murderer. These children have not died but killed. The more shameful about this case is the fact that it happened in Yogi Adityanath's constituency. If he can't take care of the need of his constituency then how can he fulfil the responsibility of a state like Uttar Pradesh? He should immediately resign from his post." The Congress leader further attacked state Health Minister Siddharth Nath Singh over his remark that August witnessed a high number of deaths, and told ANI that "Such excuses coming from him is shameful and he should resign as well."